After many years of expectation since the project was announced, this week we’re finally receiving some serious information about the solo film Captain Marvel, starred by Brie Larson. We don’t exactly know the reason of this change for the character. What we know about the is that it’s a prequel set in 90’s, where Nick Fury and S.H.I.E.L.D. are going to appear, and Jude Law will play the original Mar-Vell. Based on that, we can assume Caroll Danvers will use a Kree uniform for this film. 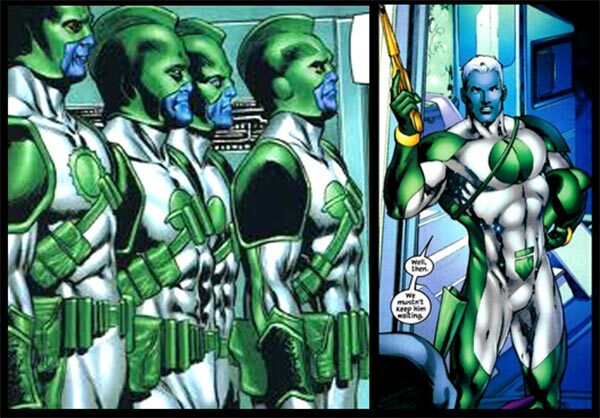 As you probably know, in comic books Mar-Vell is an alien of the Kree race who came to Earth. We’ll be expecting to know more about the Captain Marvel solo film, which is set to premiere on March 8, 2019. ¡El tráiler de ‘Avengers: Infinity War’ ya está aquí!